We have here an another law, showing an another characteristic of thephilia: charizo is a very clear verb which partakes in the area of the charis, a very important concept that includes”grace, gracefulness, charm and amiability, joy, happiness, pleasure and delight, favor, goodwill, kindness, a grateful thing done in favor of someone, respect, honor”. Thus charizo means “do a favor, gratify, bring delight”. Charis is a favor that brings to the recipient delight and pleasure, Aristotle offers a clear explanation of this concept: “repayment is the distinctive feature of charis. For it is necessary to give a return service to the one who has given charis and again oneself to begin giving charis”. One may well feel gratitude upon receipt of such a favor and for this reason charis is often translated simply as ‘gratitude’ or even ‘thanks’, but is oversimplification of the relationship: an individual’s reaction to receiving such a charis is to be kecharismenos, meaning essentially ‘to be put in the charis relationship’. Delightful favors when received by the Gods are kecharismena, and here the offering should be thought not merely as ‘pleasing’, but as ‘pleasing/acceptable in the context of the charis-relationship between Gods and men; as for example, Plato has Chryses praying “to Apollo, calling out the epithets of the God and reminding Him and asking if ever either in the buildings of the temples or in the sacrifices of offerings he had presented Him anything kecharismenon”. 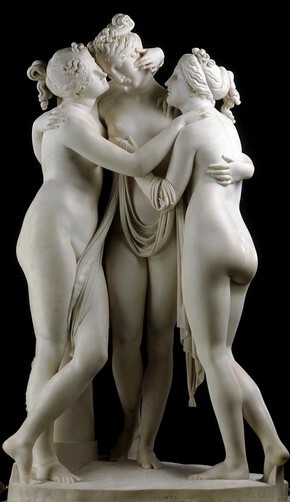 Not only this: Charis is one of three Graces, also known as Aglaia, that kind of Grace that symbolizes Beauty; according to Pindar, They were created by Zeus to fill the world with pleasant moments/things and goodwill, and as such They are companions of Aphrodite, who guards also the bond of philia. In fact we can say that the free bestowal of charis awakens pleasure and gratitude in both the bestower and the recipient, and Plato elevates it to the level of critical or aesthetic response to music or art; the Athenian Stranger in the Laws announces three criteria for judgment: correctness or fidelity of the copy to the original, moral effect or utility, and charm and pleasure, i.e. charis itself. It is Pindar who defines Grace: charis brings all things to fulfillment for the delight of men; the cultivated garden is a secret close of the Graces; the bride’s consent is a form of charis; the way of friends to settle matters is the way of grace; the Graces, who mediate all delight and all that is sweet, can also be associated with Dionysos; Charis is peculiarly associated with Aphrodite and Apollo, and it’s opposite with Ixion and the Centaurs. In a word “even the Gods cannot order Their dances without the Graces”. 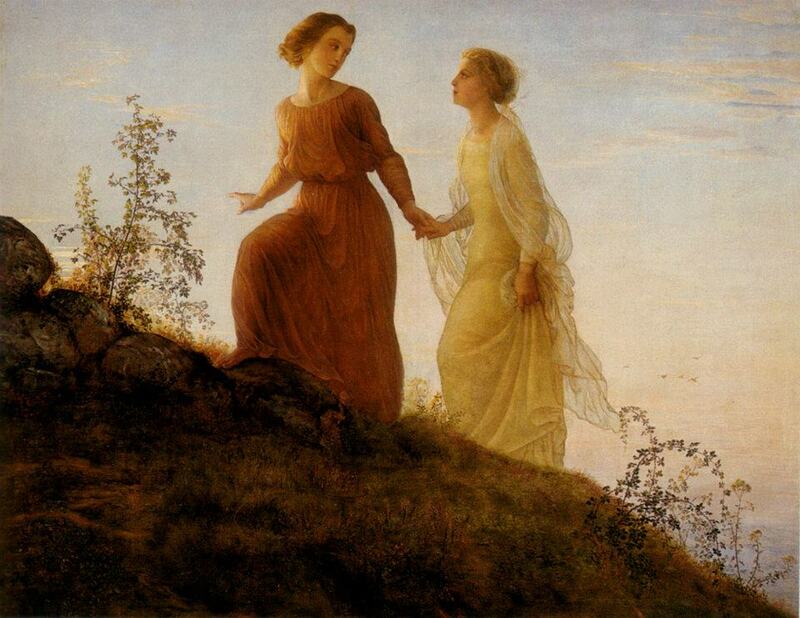 Philia is the strongest form of commitment in Hellenic life; in Euripides’ Suppliant Women, the chorus hopes for a philia based on charis between the two cities. So this law ranges from an individual advice to a political one: for a political association to endure, according to Aristotle, there must not only be justice between its members, but a kind of friendship or fraternal goodwill as well. While the formal unity of a city is supplied by the peculiar distributional scheme embodied in its constitution, its actual longevity can be secured only by the growth of fraternal bonds among its citizens. “Euergesia” means properly “benefaction, benefit”, i.e. doing good deeds; it is related with the well known concept of euergetes, the benefactor (usually applied to the Gods or to the rulers). 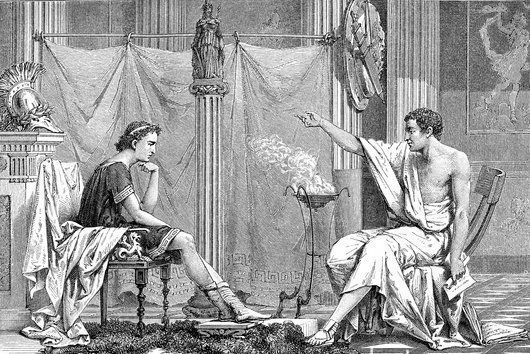 In the Nicomachean Ethics, Aristotle, treating various types of philia, states in one of the first sentences that the rich and powerful man needs friends, philoi, to exercise hiseuergesia. Here euergetic philia is stressed as representing a bilateral relationship, which develops into a conceptualized hierarchical relationship, also involving the concept of authority: Aristotle’s examples are “a king and the ruled” and “a father and sons“. Plato, talking about good deeds outside the context of friendship, underlines the fact thateuergesiai are fourfold: they can be exercised by means of money, body, knowledge or speech. The euergesiai exercised with body and riches consist in rendering service to the city (as done by the Athenian aristoi who took care of the expenses to pay all the public religious ceremonies of the city, as the annual Great Dionysia, as also to erect public buildings and so on). Including help given in the form of particular abilities- by means of knowledge or speech- enlarges the field of possible benefits to the services of teachers, doctors, lawyers etc. The now called ‘services’ of the liberal arts and professions in the Tradition are reputed to be ‘benefits’ which expect a ‘return’ and not a payment or fee. The most peaceful and well known benefactor is the inventor of arts and of technical knowledge, the protos euretes, who redeemed humanity from barbarism and roughness: the concept of euergesia surely overlaps that of philanthropia (two of the most important qualities of a ruler also). The much greater, and usually not only material, benefit of the liberator from fear and barbarism cannot be returned or reciprocated: it is the gift/benefit of a God,tà kalà dora of Demeter, as “all things are Demeter’s gift.” Cicero states clearly: “for by their means (Mysteries) we have been brought out of our barbarous and savage mode of life and educated and refined to a state of civilization; and as the rites are called initiations, so in very truth we have learned from them the beginnings of life, and have gained the power not only to live happily, but also to die with a better hope”. The title euergetes, alone or coupled with sotèr, is applied to a number of Gods and rulers. So, the relationship of identity between a God and a man exercising his euergesia towards other men comes to light, illustrated by sentences which says clearly: “For a man, to benefit others is a way to be divine”. Out of benevolence the Gods shed Their gifts, the only return expected being honor and love; a man who shares in Their natural disposition and imitate Them in his behavior toward humanity, is surely loved by the very Gods. “Harmozo” is a very particular verb that has to be analyzed in depth. First of all, we have to said that it comes from the root har-harma, that means “chariot”, also indicating the corresponding constellation; this is the word used by the Pythagoreans to indicate ‘unity’. At the same time it is the root for the word harmonia, which has a plurality of uses: “adaptation, fitting; rule, order; agreement, accordance (of the parts with the whole), symmetry and order” Diòs harmonia, “the order established by Zeus”. It means also “number, musical harmony” and “moral character”; the Pythagoreans called Harmonia the number three, the personification of the musical order of the universe. Thus, the verb harmozo bears in itself these pluralities of meanings; it is used to express “to connect, to unite”, as also “to give in marriage” and even “to rule, to control”. In the intransitive mode, as in this case, it finally means “to be accommodating, to be in harmony”; interestingly enough, lyran armozo means “to tune the lyre”. Each one of us is a part of the whole; on a cosmic level it is necessary a power and a “fiery bond of love” that may, on one hand, ties into a strong union all the different discordant parts of the whole and, on the other, harmonizes them all to create a perfect melody. This is clearly stated by Orpheus himself: “all the celestial sphere you tune by the melodious lyre”. 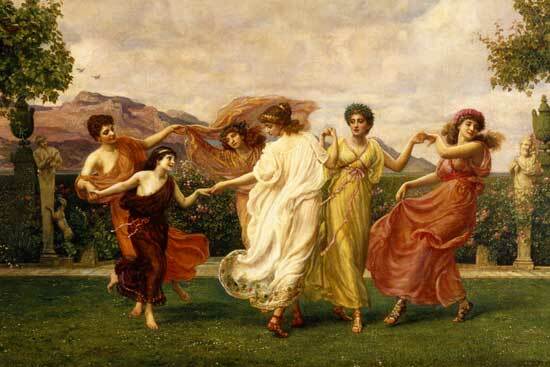 Pindar beautifully sings: “O golden lyre, rightful possession of Apollo and the violet-wreathed Muses! whom the dancer’s footstep hears as it begins the triumphal festival; whose notes the singers obey, whenever with trembling strings you strike up the prelude of the choir-leading overture!…For even violent Ares, forgetting His harsh and pointed spears, warms His heart in repose. Your shafts enchant the minds of even the Gods through the wisdom of Leto’s son and the deep-bosomed Muses…but all the beings that Zeus not had loved are terrified when they hear the voice of the Pierides.” The significance of the symbolism of the lyre as the instrument whose music casts a peaceful spell even upon the God of war and strikes terror in the hearts of those anarchic monsters not loved by Zeus (whose rule is Harmony, Oneness and Unity) is perfectly manifested here: Zeus and the Gods are proclaimed lovers of the Lyre, his enemies as Their enemies- creatures of disharmony and chaos. At once this brings to the mind Plato and what he meant with mousiké, and more, the spirit of serenity, order, concord throughout the Universe opposing and holding in subjection whatever makes for turbulence, discord, in a word, the disruption of all. 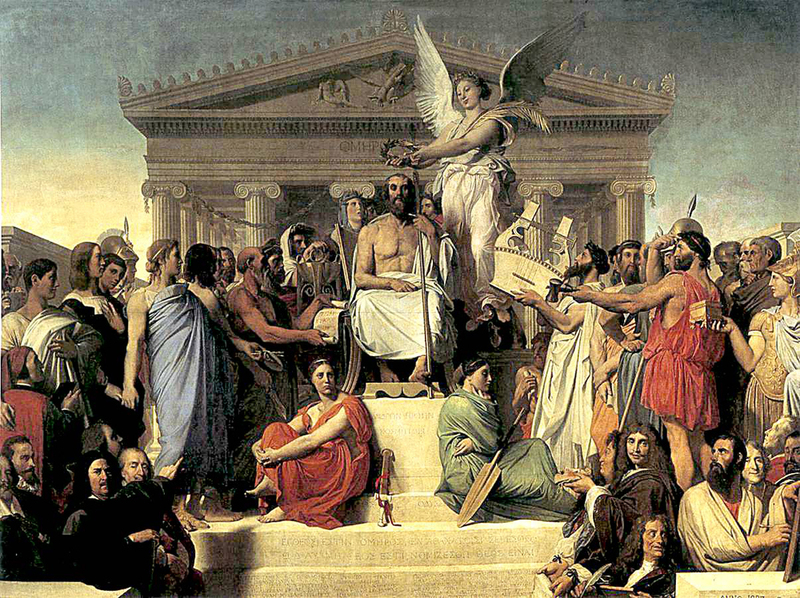 All that Plato means by music and more, philosophy, which is described in the Phaedo as the megiste mousiké, “the noblest and the best of music”, capable of inciting men to strive for a inner harmony of the soul and a exterior moral behavior “in accordance with the law of the Delphic Apollo”. In the Mysteries, the lyre is regarded as the secret symbol of the human constitution, the body of the instrument representing the physical form, the strings the nerves, and the musician the spirit. Playing upon the nerves, the spirit thus created the harmonies of normal functioning, that, however, become discords if the nature of man is defiled. “Dike: I sit in glory by the throne of Zeus, and He of His own will sends me to those He favors; I mean Zeus, who has sent me to this land with kind intent. And you shall see for yourselves whether my words are empty. Chorus: how then shall we rightly address you? Dike: by the name of Dike, She who is greatly revered in Heaven. Chorus: and of what privilege are You the mistress? Dike: as for the just, I reward their life of justice. Chorus: (lacuna) this ordinance among mortals. Dike: but in the reckless I implant a chastened mind. Chorus: by Peitho’s (Persuasion) spells, or in virtue of your might? Dike: I write their offences on the tablet of Zeus. Chorus: and at what season do you unroll the list of crimes? Dike: when the proper time brings the fulfillment of what is theirs by right. Chorus: eagerly, I think, should the host welcome You. A double order is enclosed in this law: first, we are told to accomplish only what is accordance with Dike, that may please Her and Her father also. Secondly, we ought to remember that what is right varies from person to person: if a warrior does the things of an artisan, the result of the work will not be excellent, and vice versa. So, here this principle, that each one must to his/her own things alone, is introduced: there is an universal level, a non-written law common to all, and there is the nature of each one, his/her Daimon, to whom we must obey- the two things are absolutely not in contrast. “Arche” comes from the verb archo, whose two main meanings are “to start, to begin, to be the first” and “to control, to be in command”. Surely the two meanings must be considered, as they are self-clarifying. The individual meaning can be explained recurring to the hierarchy existing among the various faculties of the human being (by Plato expressed with the tripartite theory of the soul). From the lower, we have: Eros (the appetitive), Thymos (the emotive or spiritedness) and Logos/Nous (mind and reason- the philosophical quality of the soul). What is more higher must dominate and guide the lower levels; not by chance, this verb may also mean “to guide, to show the path”: the Nous in us must guide the other faculties. It is as to say “rule yourself by yourself”. The sense of a true beginning is now clear and explained: this is the first step toward self-realization. On a more general level, here returns the theory expressed by Plato in the Politeia: those in which the noetic/rational faculty dominates are those appropriate to rule over the state and over those who have mixed or inferior qualities as predominant in them. For this motives the ruler, the Archon, is the one who shows the way to all people: “eleutherias tei Helladi archein”, to give the signal of freedom to Hellas. This rule is very important, as it teaches that man conquers the world by conquering himself, starting by developing an indifference to pain and pleasure, through meditation. Wisdom occurs when reason/Logos controls passions, not otherwise. We must not try to extinguish emotions; rather, we must be able to transform them by a resolute ‘askesis’ that enables a person to develop clear judgment and inner calm. The Logos, individual and universal reason, is inherent in all things. Living according to Logos and Virtue is to live in harmony with the Divine order of the universe. “Phronesis” is a very important word, mostly in the philosophical vocabulary; it is commonly translated with “thought, mind, practical intelligence, prudence, wisdom”. It has a different import than sophia– the other word designating wisdom- because sophia is the ability to think and to understand the universal laws of the universe and involves reason related to the universal truths. The phronesis is the ability to think about a particular end/goal and find the means to achieve it successfully: having phronesis is both necessary and sufficient for being virtuous, because prudent persons cannot act against their “better judgment.” Thus phronesis is a great ethical virtue, but not only: like the rays of the sun illuminating the visible things, so does realization illuminate the most inner secrets of the human nature and this is the process Plato calls phronesis. The highest wisdom that is acquired through phronesis, ultimate realization, is not subject to rational thinking (nous) or reason (dianoia)– not a “knowledge” proper (episteme) – therefore cannot be expressed by means of rational language. Moreover, in the Statesman, Plato weighs the relative merits of rule by wisdom (phronesis) and rule by law: as the differing translations of phronesis suggests, Plato does not confine his treatment to the practical sphere; even in the intensely political passage of the Statesman there are far-reaching reflections on the nature of humanity and the world. These reflections explain what we are and what our world is such that there is a need for this cognitive capacity. Thus in this virtue of the mind the universal and the particular meet – through phronesis a particular action may be dictated by universal reasons. “Eu legein” properly means “to speak well of someone or something”; this deals with the very common usage of men to criticize others instead of praising them for their good qualities. However, a noble and right person is able to see the good in the good people and specially is very happy to eulogize such persons for their merits. Kalon often stay also for aristocrat and noble man/woman, as the standard expression kaloi kaì agathoi, “beautiful and good ones” is one of the key-phrases employed by the aristocratic to define themselves. It is the epitome of the Hellenic Ideal of truthfulness, purity, external and internal beauty, nobleness of the spirit and sense of Dike as opposed to adikia, again in a word: what distinguishes a man from a beast. We must always praise and eulogize these highly realized beings who, through their very example, teach humanity how each one must behave, to come into proximity with the very Gods, with the Highest Beauty. Not only this: this law has also a political meaning, because agathos means also ‘noble’. As Theognis teaches us: “Cyrnus, those who were agathoi once are now kakoi; and those who were kakoi before are now agathoi. Who could bear seeing this, the noble ones in lesser honor and bad ones getting glory?” The meaning of the complaint is crystal clear: Dike has abandoned the earth and thus the right order of things is getting lost, that order by which the one who is worthy is honored more than those who have lesser virtues, “now the evils of the good men have become a good for the worthless ones, and they rule with perverse laws.” This is precisely what this law commands to avoid: the honor given to base men (because of wealth or other similar, worthless qualities) instead of the agathoi, who possess inner worth, who have to be honored and have to rule the State. “Thymou” comes from thymós, that has a plurality of meanings; it means “soul, life, vital principle”- in this case it can symbolize also the heart as the seat of the vital principle, as well as the source of strength and power, or powerful energy. A secondary meaning is again “soul”, but more precisely as the seat of passions and volitions: thus, we can translate it with courage, ardor, anger and resentment. “Thymoi phileein” means “to love heartily”, but “tòn thymòn epanagein” means “to excite the anger”... The third very meaningful meaning is again soul, this time as the seat of will and desire, also craving and wish- to be lead by the heart/soul/desire is “thymòs anogei, keleuei etc”. Thus, inside thymós, in the heart of our centered self, a struggle is going on between Eros and Atê. Eros is the part of thymós eager to ascend to the heights of human aspiration, striving for what is noble. Atê is self-delusion, leading to self-destruction. It is blindness, rage, interiorized aggression. Thymós, in this negative mode, means smoke, anger, wrath: this conflict between Eros and Ate as the inner struggle of thymós, in relation to reason and desire, is the inner dialogue of the soul with itself, going on in the seat of the heart. The verb “krateo” has a very clear meaning, as is the verb par excellence used to designate “to rule, to be powerful, to win, to control, to prevail, to have dominion over”, as in the expression “hedonôn kaì epithymiôn krateo”, I rule over pleasures and passions. This quote is appropriate to understand perfectly this law, it gives a very precise indication on one of the most important ethical laws of our Tradition. The best explanation of this law can be found in the teachings of Plato: for thymós is the spiritedness, the “lion in the soul” that has to be tamed by the intelligent man. The wise knows the dangers of this powerful force that is a natural part of the soul, however the wise is also able to rule over this energy and to direct it toward noble purposes: Achilles is the best example in this matter. The theory of education in the Republic aims only at taming this lion and use it for the good of the state: this is the main character/ virtue of the warriors. A quote from Aristotle will be certainly clarifying on the deeper meaning of this present law: “the one who first told the myth was not unreasonable in pairing Ares and Aphrodite”. 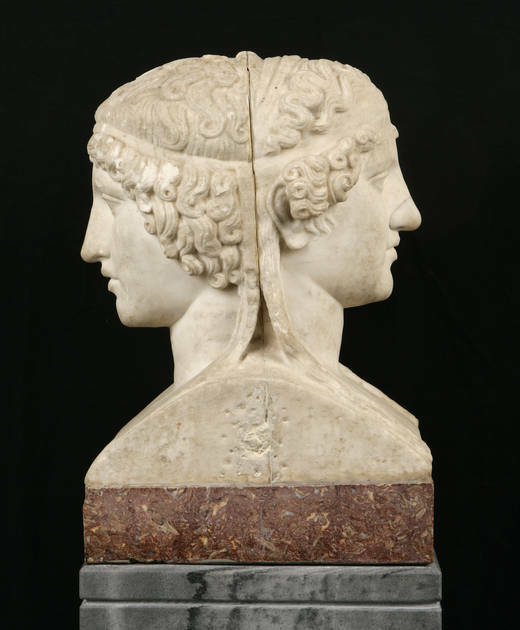 For all that we distinguish between loving and fighting, most of us have probably noticed that eros and thymós (love and spiritedness) tend to be found together: their union brings about the birth of Harmonia. Hybris is a very well known term in the Hellenic Tradition, it indicates “insolence, arrogance, haughtiness, violence, insult, offence”. Thus sings Bacchilides: “It is open to all men to reach unswerving Dike, the attendant of holy Eunomia and wise Themis; blessed are they whose sons choose Her to share their home; but that other, shameless Hybris, luxuriating in shifty tricks and lawless follies, who swiftly gives a man another’s wealth and power only to bring him into deep ruin- it was she who destroyed those arrogant sons of Ge (Earth), the Giants”. Hybris can be either an act or an attitude, this does not alter the substance of the idea at the root: too much, excess that brings about ruin. Thus, Solon speaking about the hybris of the Athenians as leading them to injustice is speaking of an attitude, as also Aeschylus describing it at Persae as something “which when it has flowered bears a fruit”. It is the attitude and spirit of going to the excess, of excessive pride arrogance, insolence , as recognized as example in Creon of Sophocles’s Antigone or Pentheus against Dionysos in the Bacchae. In many myths, mortals who display arrogance and hybris end up learning, in quite brutal ways, the folly of this overexertion of ego: because, as in the tragedy, the three necessary steps for one fallen into error are hybris– nemesis (right punishment)- katharsis (purification). The concept of hybris refers to the overweening pride of humans who hold themselves up as equals, or even superiors, to the Gods: thus hybris is one of the worst traits one can exhibit and invariably brings the worst kind of destruction. Niobe, Arachne, Phaeton are all very good examples of the hybris and its punishment by the Gods, as indeed any type of hybris or arrogance, no matter the circumstance, is an attitude that no God will leave unpunished. 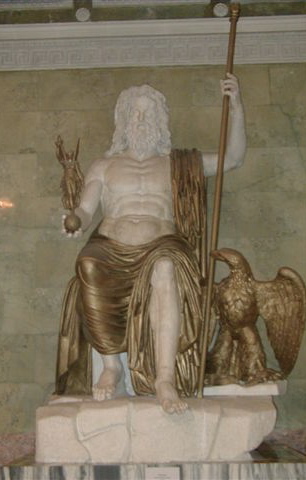 Zeus watches those who commit it and, as Hesiod attests, makes the hybristes suffer: everyone knows and expects the Gods to punish wrongdoing, as clear from Hesiod’s advice to Perses to avoid violence and injustice or in Solon’s sayings “I would like to be rich but never unjust, for always Justice comes down on you in the end.” Kritias describes the founding of human and divine punishment, making clear its retributive function: “men had emanated laws in order to punish, so that Justice might be sovereign of all and consider hybris enslaved”. Moreover this law can be applied to all fields: as example, Plato says that mere excess-hybris– creates nothing but noise and chaos; that only controlled passion creates truly fine art—and the best laws. “Ethos” is a very important word which means principally “character, nature, temperament”. We have here to remember the famous words of Heraclitus: “ethos anthropos daimon” which have puzzled the scholars for centuries; plainly saying, it means “the character of a man is his Daimon”, some other translate with “character is fate”- although clearly ‘fate’ gives a very reductive meaning to the greatly important concept of Daimon. We can also translate “a man’s character is his guardian deity” assuming that the Daimon may be described as “the good genius of a person”, so saying that the character of each person is a Daimon, his/her particular Daimon in fact. Greek grammar permits Heraclitus’s apophthegm to mean equally 1) that a person’s character is all that the guiding spirit in that person can be; and 2) that one’s character emerges under closer investigation to be a divine spirit. The basic view introduced here, that is also the foundation of the aristocracy, is that people differ in terms of their basic abilities and aptitudes: there exists not a general equality between all human beings, but this equality can be found only between those who are really equal in terms of the above mentioned abilities and aptitudes. Aristocracy is highly justified because the purpose of civil society is to promote nobility, the highest level of virtue possible to humans. Therefore, the best, those who have become habituated to noble and good acts through long experience, should associate between themselves and rule the state for the benefit of all. As said by Pindar: “In the hands of the agathoi lies the noble governance of cities, passed from father to son.” Through this quote, we get a glimpse of an another implicit meaning of this law: the need to marry only between equals: “marry only with your peers”. Perfectly Theognis expresses the concern arising from this point: “The churl or ruffian that in wealth has thriven may match his offspring with the proudest race; thus everything is mixed, noble and base!” As we have seen, nobility is based not upon riches but on character and education: this law encourages people to get married/associate only on this basis and nothing else.